For a professional nail prosthesist, it's important to carry a part of your products easily, particularly if you made home manicure. Your numerous products and tools need a handy and efficient storage unit. 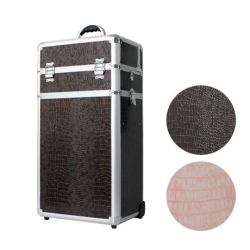 Here is a large beauty case to take away with you the majority of your nail belongings. For a professional nail prosthesist, it's important to carry a part of your products easily, particularly if you made home manicure. Your numerous products and tools need a handy and efficient storage unit. For that, look at our nice beauty cases. 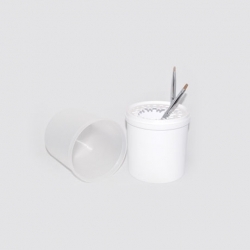 Small storage pot for brushes. With transparent cover. To transport and tidy your tools and to present your artificial nails to your clients.